Amazon has announced that it will partner with the UK government to test drones as a method of delivering parcels. The experiment will allow the online retail giant to examine the viability of its Prime Air service, which the company has been unable fully test in the US due to regulations. 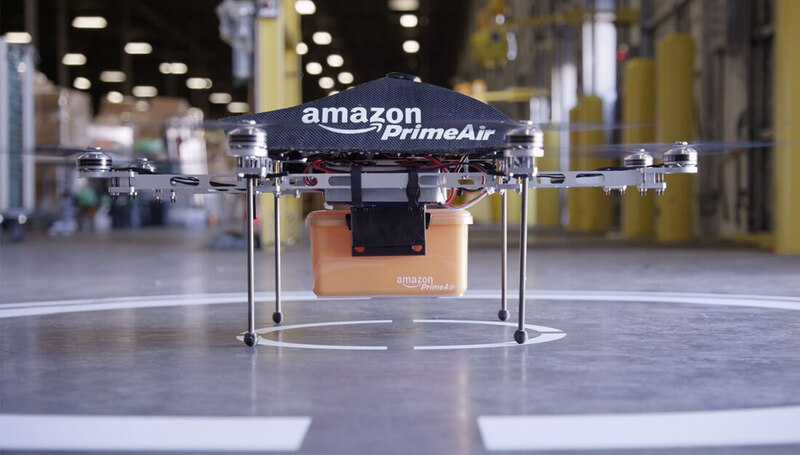 The ultimate aim of Prime Air is for drones to deliver parcels weighing up to five pounds, which covers 80% - 90% of what Amazon sells, within 30 minutes or less. In the US, Federal Aviation Administration (FAA) rules state drones must remain within visual line of sight of the operators, weigh no more than 55 pounds, and can only be operated one at a time, making it difficult to test the service in the country. But in the UK, a cross-government team supported by the Civil Aviation Authority (CAA) is allowing Amazon to fly drones beyond their operators' line of sight. The company will also use the opportunity to test the UAVs' obstacle identification and avoidance sensors. Additionally, the UK tests will examine how well a single person can control multiple autonomous drones. A CAA representative said a priority during the tests will be that the vehicles do not adversely affect other airspace users. The drones will be kept below a height of 400ft (the same restriction found in the US) and away from airports and flightpaths. “This announcement strengthens our partnership with the UK and brings Amazon closer to our goal of using drones to safely deliver parcels in 30 minutes to customers in the UK and elsewhere around the world,” said Paul Misener, Amazon’s vice president of global innovation policy and communications, in a statement. As well as testing the drones' performance, Amazon will be hoping the UK experiment can convince the FAA to relax some of its rules regarding commercial UAV flights. But even if that does eventually happen, it looks as if Europe will be the first continent to receive Prime Air.